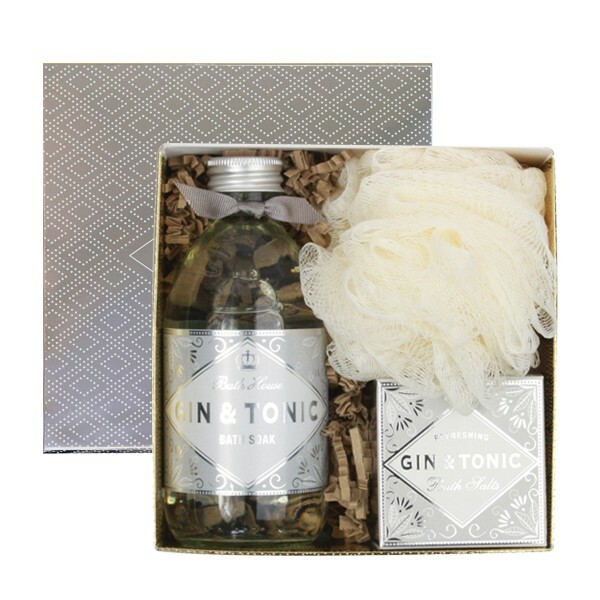 This gorgeous Gin & Tonic gift set makes a lovely gift for someone who loves pampering every day, leaving them feeling totally pampered and special. Packed in a stunning silver-foiled gift box is our soothing bath soak, bath salts and bath buffer. This really is the ready-made gift, no need for wrapping paper!